Honda City is an iconic car for the Indian car market. The mid-size sedan is on sale for more than 20 years in the Indian market and is extremely popular in the Indian market, and it is a global car which is available in many international markets too. Honda is working on an all-new generation of the Honda City that will be revealed globally later this year and will be launched next year in the Indian market. 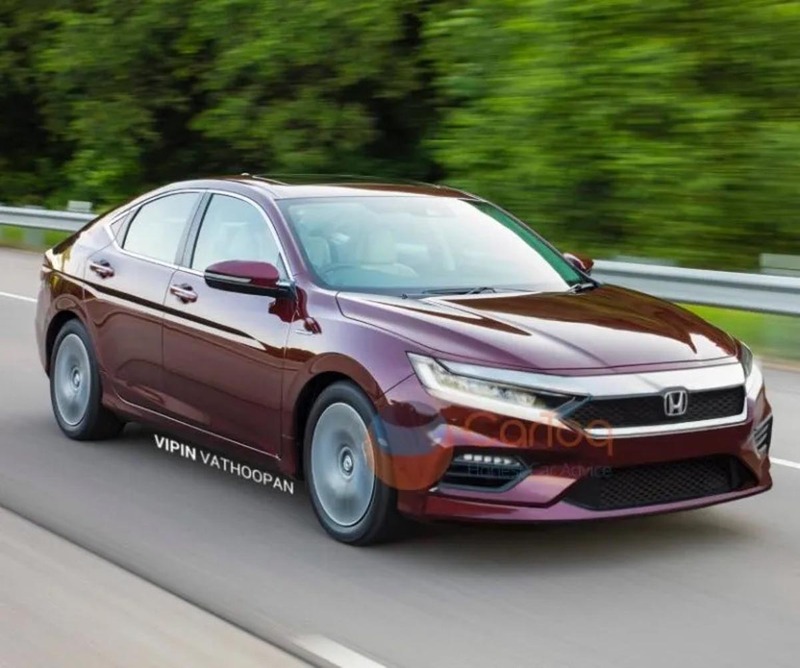 All-New City is expected to become heavily inspired by the Honda Civic and the Honda Insight. The upcoming Honda City is expected to get a sporty design with the front grille inspired by the Honda Civic. The overall shape of the forthcoming Honda city is supposed to be really sleek and streamlined. Honda City is also expected to grow bigger in size and will offer a roomier cabin space. Honda is expected to use a mild-hybrid system for the upcoming City. The 1.5-litre I-VTEC engine is likely to continue, but it will now come with a mild-hybrid system that will increase the fuel efficiency drastically. Honda is expected to offer the 1.5-litre diesel engine with the upcoming City too. However, necessary changes will be made to the engine to ensure that it is BS-VI compliant. India will get the new emission norms in 2020. The market will skip a generation of emission compliance and will directly jump to the BS-VI norms. The diesel engine of the Honda City is expected to get a CVT automatic transmission just like what Honda Amaze offers. On the inside, the all-new Honda City will get a host of changes. The all-new City is expected to get soft-touch materials inside the cabin and class-leading features too. The Honda City takes on the likes of Maruti Suzuki Ciaz and the Hyundai Verna in the Indian market. Honda has always maintained a premium positioning in the Indian market and is expected to do so in the future in the Indian market.